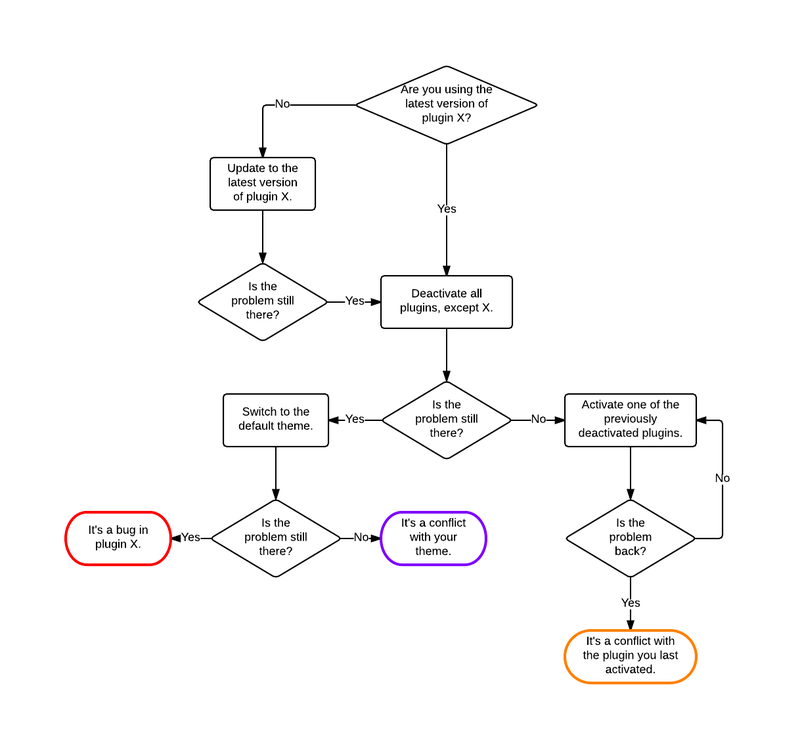 First up, a very concise plugin debugging flowchart by @scribu. “WordPress Themes: XSS Vulnerabilities and Secure Coding Practices” by Tony Perez of Sucuri. “Using LESS with WordPress” by Noel Tock of happytables fame. A bookmark-worthy “Migrating WordPress Websites” workflow by Bill Erickson. Even the first step is smart. “What WordPress Theme Developers Can Learn from Twenty Twelve” by Konstantin Kovshenin. An in-depth write up about the features inside WordPress’s default theme of the year from a developer perspective. “Building the WordPress plugin“, by Matt Kelly, a Facebook Engineer who develops the Facebook for WordPress plugin.